May 11. I brought home this bouquet of tulips for Addy. 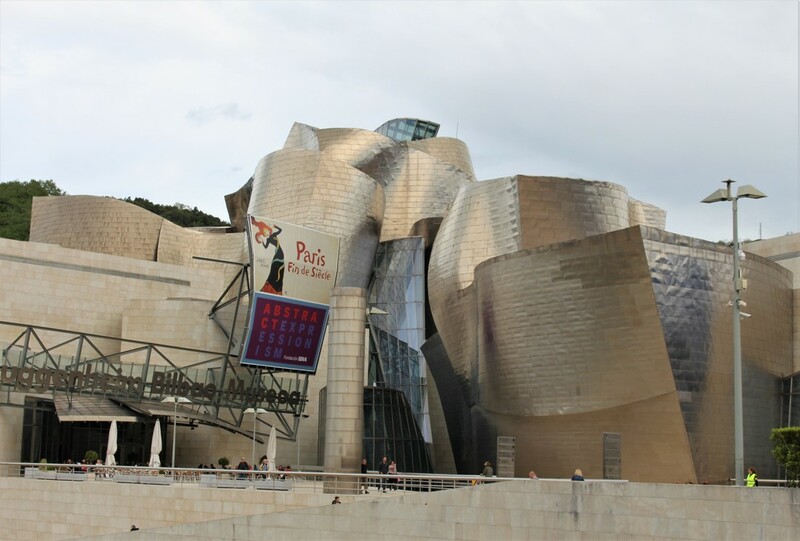 The Guggenheim has had a huge impact on Bilbao. 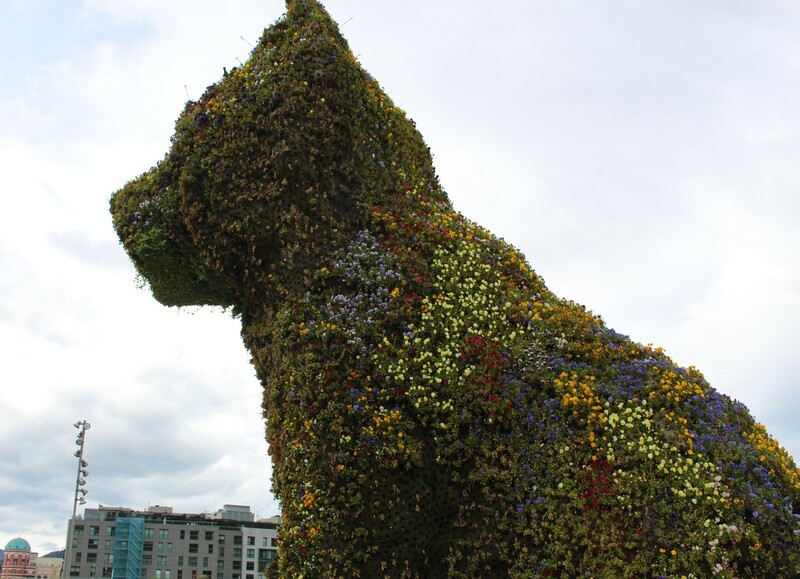 Once an industrial, port city on the river, Bilbao was polluted and unpleasant. The influx of capital which led to the Guggenheim has resulted in the clean-up and gentrification of the city which now relies on tourism. The Basque area has a lower unemployment rate than the rest of Spain--14% instead of 24%. I was disappointed in the Guggenheim. I don't think Frank Geary had a say in the squat square buildings leading off of the museum which result in hiding the full structure or the horrid signage in the front. Further, there was almost no art inside. Between shows? I don't think so. I expected wonderful exhibits, but there just wasn't any art inside. Scotty is trained to sit and guard the Guggenheim. About every 4 months he gets replanted with fresh flowers. Ferdinand would understand. Why a scotty and not a bull? I don't know.